When you reach Donna Messer, Canada’s “Networking Guru”, on the phone, her cheery voice answers as if she has known you for life time. Two minutes into our conversation she drops her first bit of “social capital”. She is sorry she is a bit late as she just got back from lunch with a Senior Vice President from Petro Canada, one of Canada’s largest petro chemical companies. To Donna, “social capital” is the byproduct of networking and the term she uses extensively to cultivate value for her network. “The key to understanding “social capital” says Donna “is to learn as much as you can about the person you talking to so that you can develop and understand what you can offer and later on potentially receive”, one of her golden rules of networking. “Social capital” she says also means to: “never ask for money, never sell and always find out what others want to buy, then have something that you can offer that fits the bill.”. You can now see why Donna Messer is called Canada’s “Networking Guru”. Donna was born a networker. Starting out working for the Director of Agriculture for the State of Illinois, one of Donna’s first jobs was to help build business with the State’s biggest trading partner Canada and Canadian companies wanting to do business in the State. She became a major corporate match maker finding out what companies had for sale and providing buying opportunities for everything from the famous “No Name Brand” brand of products, dairy and other agricultural products including working with the one of the first exporters of shitake mushrooms. From there she formed her own company called “Connect Us” which was a bit of play on words for her business and soon she had a thriving database of high level contacts from which she has built an impressive array of business by linking individuals from her network with other individuals or with outsiders wanting in. Her business is also an extension of her own personal ethical business philosophy. She gives much more than she gets and has a significant amount of business referred to her directly based on her own “social capital” and the relationships she has formed and gifts of gold that she has given to others. One of her strengths and one of the things she says that that others should consider when building their network “is to develop a database of contacts, to cultivate a contacts “social capital” and to keep intensive records on your computer so that when you recognize an opportunity for someone in your network and then you can pass it along right away.” Donna has over 10,000 people in her own personal database. Canadian bestseller called “Effective Networking Strategies” which is available at Amazon.com or can be downloaded for free from her website. Constantly on the road speaking to groups, organizations and companies, she recently finished a stint coaching public service employees for the Ontario Government on how to network amongst other government departments in order to make contacts to get major projects completed. Besides using the term “social capital”, Donna also preachers and uses a term which she developed called RISE™ which has become the firm’s personal strategy for successful networking. RISE ™ stands for: Rapport, Information, Solutions, Ethically. It’s a simple process and one worth noting for any personal networker which includes working inside a culture of integrity. Donna’s company now works world wide developing rapport, gathering information, coming up with solutions and doing it in an ethical manner. Her RISE™ system is used extensively for networking throughout international markets in helping to build business for companies throughout Canada, the U.S. and internationally. Thanking Donna, I am just about to hang up the phone and she stops me saying “I need to know about you and your “social capital” Kensel and what is it you do and what is it that I can help you with”. I promptly say “well nothing really”. Within minutes, Donna has me talking about marketing and my marketing coaching company, The Corporate Coachworkz Inc. and then gives me two people which I should contact to help me build my business following up with an email after our interview to remind me; the sign of a true networker and a true “Networking Guru”. To reach Donna Messer to get more information on how Donna can help you personally or your organization, see Donna’s Website at www.connectuscanada.com. 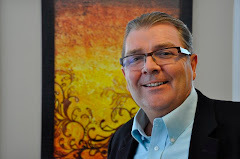 Kensel Tracy the Marketing Coach is a Senior Partner with the Corporate Coachworkz Inc. a coaching company that specializes in marketing, coaching and executive coaching and helps small, medium and large sized businesses grow and prosper. I have been browsing online more than three hours as of late, but I never discovered any attention-grabbing article like yours. It's pretty value sufficient for me. In my view, if all web owners and bloggers made good content material as you did, the internet might be much more useful than ever before. article? I'd really like to be a part of community where I can get comments from other experienced people that share the same interest. If you have any suggestions, please let me know. Kudos!